In January this year I published an article called Change the URL of existing SharePoint List/Library[Tip] . After some time I was contacted by Webucator, they liked the solution from my article and asked for permission to create a video tutorial based on it. If you don't know them, Webucator is providing onsite and online technical and business trainings. I was notified today that the video is published and it is really well explained, you can check it out below. 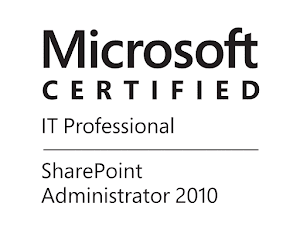 Webucator provides a wide variety of technical trainings including SharePoint. If you are looking for SharePoint trainings be sure to check what SharePoint Classes are available at Webucator, you can also find many free tutorials on their site. Add-PSSnapin : The Windows PowerShell snap-in 'Microsoft.SharePoint.Powershell' is not installed on this computer. Is it for on-premise only? Yes this way is on-prem only. Guess the same thing can be done via CSOM for SharePoint Online, but you can simply try to rename the rootfolder with SharePoint Designer or in the Explorer View. However first test with non-production list. Ah ok, I tried it with SharePoint Designer and I am getting "Server error: The attempted operation is prohibited because it exceeds the list view threshold enforced by admin". So I thought maybe I can do it via powershell but I guess not. $listTitle = "Legal Docs" -> Old URL name? $newRootFolderName = "DCS" -> New URL name?